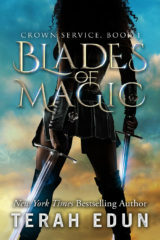 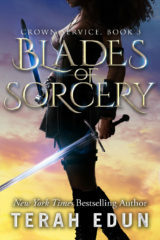 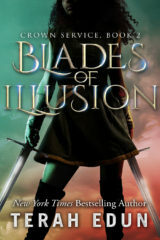 As an unstoppable war breaks out between the mages of the Algardis Empire, young Sara Fairchild enlists in the empress’s army to find out exactly what everyone’s trying to hide. 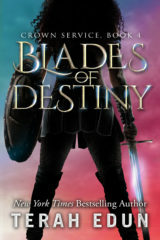 But there are secrets on both sides of the battle that will make her question everything. 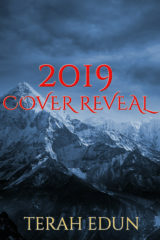 The Crown Service series is set 200 years before the advent of the Courtlight series and can be read prior to or after Ciardis Weathervane's books.